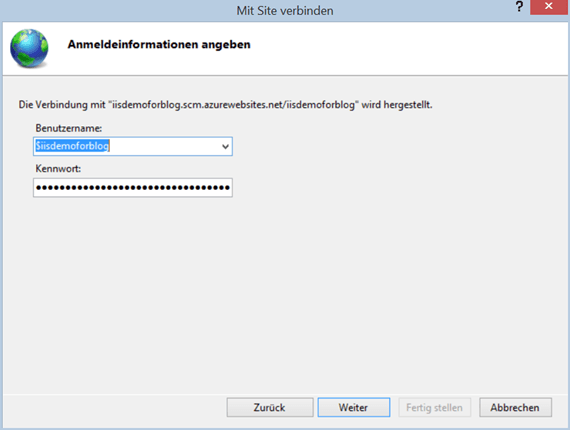 Since the end of February it is possible to access an Azure Website with the IIS Manager. 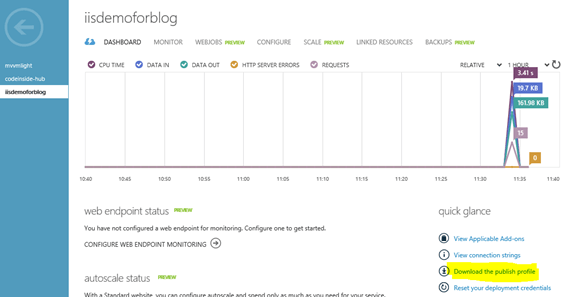 Although the Azure Management site offers some information there are more details visible at the IIS Manager. 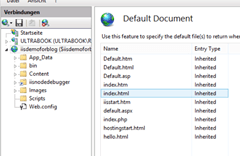 For the connection you will need an IIS Manager and the IIS Manager for Remote Administration Extension. 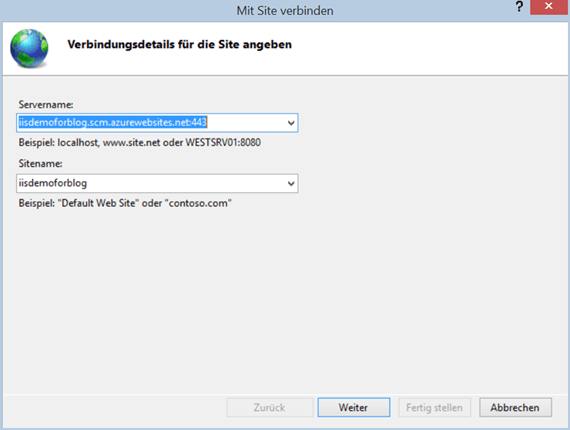 It’s also possible to connect with a free Azure website – it seems like there are no access restrictions. 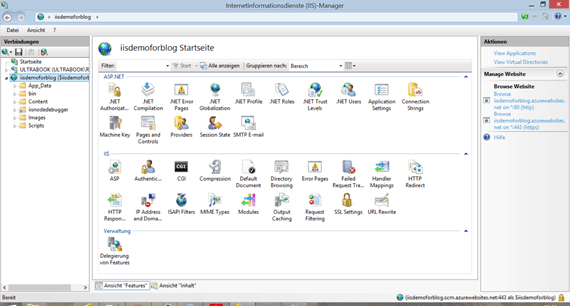 After the installation of the Remote Administration Tool has been finished it is possible to add extra sites with the IIS Manager (via the context menu or file) and connect yourself to your site. 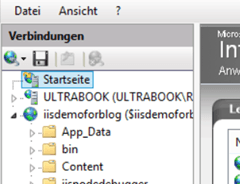 I wasn’t able to find out if (or when) it is possible to change the settings – I think it should be possible but there was no got example available. More information’s are available on the Azure Blog.